Nelson Mandela made what could be his last public appearance in London at a pop concert in Hyde Park. If it is to be his last, it’s hard to imagine a more appropriate exit. The event neatly closed a circle which began with a concert at Wembley Stadium in 1988 when he was still in jail and which called for his release. It was the event that exploded his name into broad international consciousness. The 46664 concert at Hyde Park, named after both Mandela’s prison number and his Aids charity, had an “end of an era” feel about it. This sense was partly invited by Mandela himself. At 90, Mandela naturally looked frail but his familiar gravelly voice and halting delivery came through with amazing vigour. His arch humility was there as usual, in the way he described himself as “a mere pensioner”. But there was a palpable sense of departure and ending that hung over the event. Mandela himself ended his speech to the 40 000-something crowd by saying: “It is time for new hands to lift the burdens. It is in your hands now.” Mandela’s conclusion was perfectly apt, not only about himself but in a way also about his generation. Despite the clear attempts by the organizers to include younger artists, there were still sufficient of those a bit long in the tooth to create a sense of reminiscing about old battles and old times. But in other ways, the concert was a perfect reflection of his legacy; his enduring connection with young people, his still resilient popular appeal, his craving for joyousness and harmony. The line-up at the concert was marvellously varied and disparate, including pop stars from Africa and Europe, and performers of massively different styles, underlining Mandela’s peculiarly broad appeal. The artists included everyone from the latest pop sensation Amy Winehouse to the now aging reggae star Eddy Grant to Sudanese rapper Emmanuel Jal to quasi-opera star Josh Groban. The graying ones included the remaining members of Queen, Jerry Dammers, Joan Baez and Johnny Clegg. They were all backed up fabulously by the Soweto Gospel Choir, which provided a link between South Africa and the predominantly British line-up. The harmony theme was underscored by some amazing duets. One included Afrikaans singer Kurt Darren, whose inclusion you suspect could only have been at Mandela’s insistence. Eddy Grant helpfully told the audience that Darren was “really popular in South Africa”. Darren joined Grant to sing the reggae star’s anti-apartheid hit “Give me hope Johanna” which was only slightly more weird than Groban and Vusi Mahlasela singing the old classic “Weeping”. The duet of the evening was performed by British R&B singer Jamelia and the South African Loyiso. The 46664 concerts have been very successful in raising Aids awareness, but they do slightly leave you with an odd sense of otherwise hedonistic, self-obsessed pop stars burnishing their personal brands by association with both Mandela and his good deeds. Film star Will Smith kicked off the concert with his wife Jada Pinkett Smith by quoting the singer Peter Gabriel as once saying: “If the world could only have one father, the man that we would choose to be our father would be Nelson Mandela”. It was sweet but hardly a quote of munificent insight and wisdom. However, it’s easy to be cynical about these events. One blogger in South Africa commented that the three primary goals of the concert were to “Firstly, and most obviously, to exploit Nelson Mandela while we still can. Secondly, to prop up the flagging careers of ageing British rock stars. And thirdly, to make middle-class British people and white South African expats feel really good about themselves”. Yet, there is something wondrous about them too. Simple Minds singer Jim Kerr, who wrote the song “Mandela Day” for the 1988 concert, recalled in an article in the Guardian how difficult it had been to get the big names to play at that time. “It’s interesting to now think of Mandela the man…because for almost three decades he was a myth. He was incarcerated. You’d barely even seen a picture of him.” Amnesty International, for example, did not support it because they were strictly advocates of non-violence. Yet the concert happened and a host of big names did participate. Of all the ostentatiously worthy pop concerts like Band Aid, support for Mandela’s freedom and later his legacy do have a sense of legitimacy, partly because of the history but also because Mandela transparently loves them so much. The leading lights of the music industry, particularly in the UK, really did anticipate the future with either magnificent or happily fortuitous insight in the case of Mandela, so their championing of him now is less creepy than it might otherwise have been. One of the best things U2’s singer Bono ever said, to the best of my recollection, about Mandela concerned a concert in a European city that had been particularly badly organized and the publicity poorly executed. Consequently, the crowd was small, and participants were shuffling their feet wondering how Mandela would take it. In fact, he just didn’t seem to notice how few people were there; he was just delighted at the people who had shown up. Mandela is the ultimate glass-half-full kind of person, and music forms part of that cup. Mandela’s embrace of it underlines just how deeply he feels about reconciliation. 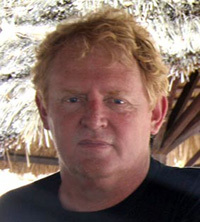 Tim Cohen is a freelance journalist writing for a variety of South African publications. He is currently contracted as a columnist to Business Day and the Weekender, where he worked for most of his career, and financial website Moneyweb where he writes on business and corporate activity for an associate site called Dealweb. He was the 2004 Sanlam Financial Journalist of the Year.